The Animal Foundation, like so many shelters across America today, has many mixed breed dogs that people tend to identify as “pit bulls.” DNA testing proves how wrong sight identification can be. Nearly every day our adoption counselors are asked, “What breed is this dog? Is it a pit bull?” While we try to remind potential adopters that you can’t accurately identify a pit bull terrier (or any other dog for that matter) by sight and that a “pit bull” is not a breed, we sometimes struggle to convince people that a dog’s genetic makeup is not a magic mirror into its behavior. Research and DNA testing has proven that sight identification of shelter dogs has about a 90% failure rate. 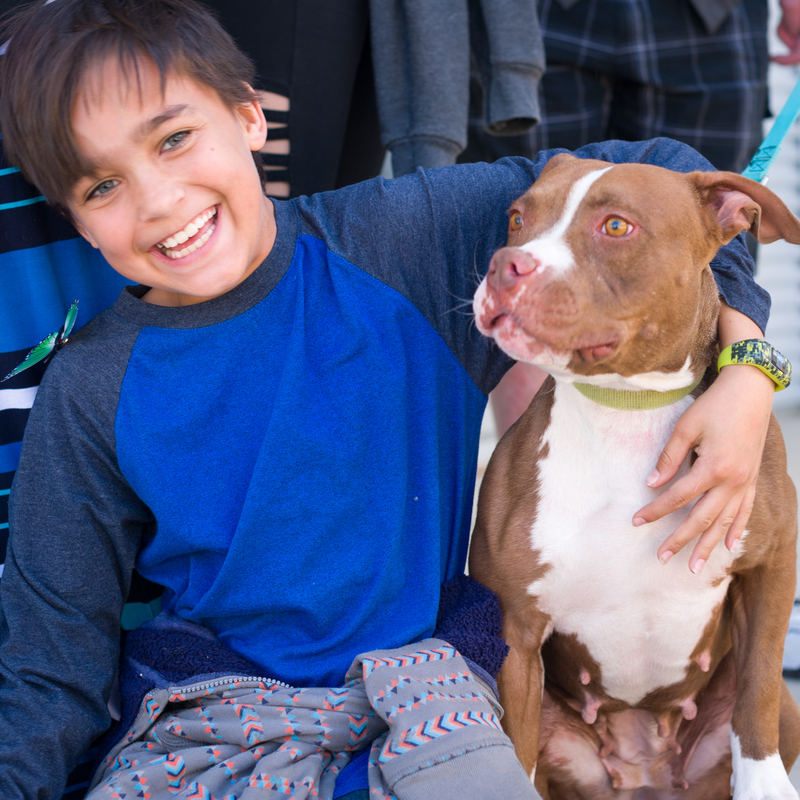 Recently, The Animal Foundation had the opportunity to conduct its own DNA testing on a number of our shelter dogs, including dozens that many people had too quickly identified as pit bulls. The DNA breed profiles surprised even us. Dogs that were all to often identified as pit bulls were found to have cocker spaniel, boxer, golden retriever, bulldog, German shepherd, Boston terrier, and many other breeds in their backgrounds. As patrons started seeing the DNA results, which were laminated and posted on kennels, they were able to see beyond appearances and start focusing more on personalities. In some cases, the DNA results actually motivated people to make the decision to adopt. One long-time resident, Baby, was found to be a unique combination of American Bulldog, American Staffordshire Terrier, English Springer Spaniel and American Eskimo. Baby eventually found her forever home with a member of our own staff, who fell in love with Baby after weeks of working with her on her leash skills. Another of our “pit bulls” ended up being a cross of American Staffordshire Terrier, Chihuahua, Miniature Schnauzer and American Bulldog. A long-time resident and staff favorite, Uno, was found to be a mix of American Staffordshire Terrier, Australian Shepherd, Boston Terrier, Boxer and Chow Chow.